Conservation action for our far North Queensland marine environment. Here in Queensland’s far North we enjoy one of the most diverse and beautiful marine environments in the world. Our ocean, reefs, estuaries and marine life need our help to survive and prosper. We need your help to protect the world below the waves. Find out more about the team and how you can get involved. The Great Barrier Reef (GBR) stretches 2,300km from the Torres Strait to just north of Bundaberg. It covers an area of 345,000km2 and is comprised of nearly three thousand reefs and more than nine hundred islands and cays. The GBR, listed under all four natural World Heritage criteria for its outstanding universal value, is home to fifteen hundred fish species, nearly two hundred different bird species and more than thirty marine mammals. 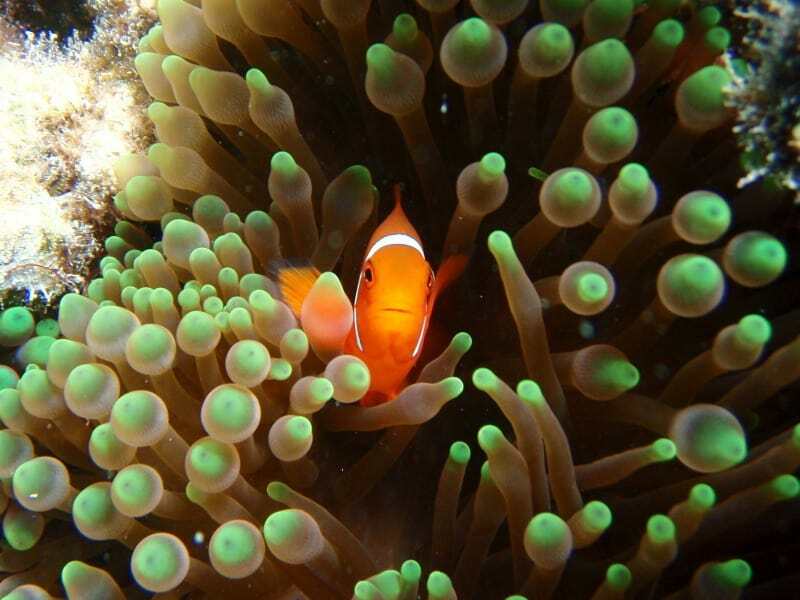 Further, over three hundred types of hard coral and one third of all the world’s soft coral occur in the GBR. Six turtle species occur in the GBR, all listed as endangered, and they share the shallow seagrass bed feeding areas with that most gentle of marine creatures, the dugong. Coral reefs are richly biodiverse and many are now under serious threat due largely to the impacts of human activities. Proposed expansions in fossil fuel exports and associated port infrastructure are cause for great concern and add additional threats to a system already under great pressure from human activity. Cairns Shipping Development Project – Dredging proposal for Cairns Port. Major threats to the GBR include over-fishing, land-based pollution and global warming (including Ocean Acidification). Agricultural activities including sugar cane farming and cattle grazing, increasing industrial and urban coastal development, increased tourism activity and the loss of natural filtering systems of wetlands and mangroves have all led to an increase in sediment and chemical residues entering the waters of the GBR. These issues are further compounded by inadequate environmental planning regulations for the coastal areas of Queensland. The 2009 Great Barrier Reef Outlook Report was produced by the Great Barrier Reef Marine park Authority and outlines these key threats and other long term management challenges. CAFNEC has a representative on the Cairns Local Marine Advisory Council (LMAC) and is engaged in a number of planning, consultation and education programs. We would love to hear from community members regarding your concerns, observations etc. Net fishing can have serious implications for the health of inshore marine environments. Many kilometres of nets may be set around coastline every single day, presenting a constant danger to marine wildlife and a threat to coastal marine ecosystems. Aside from the changes to ecosystem health brought about by removing fishstocks, endangered species such as marine turtles, dugong, dolphin and whales are all at risk of drowning. Recent election commitments from the Labor Government include a Net Free Area (NFA) for Trinity Bay. CAFNEC supports this proposal in principle and is working with other stakeholders and in particular the CareFish recreational fishing group to see this positive environmental proposal progressed. It is anticipated that a Cairns NFA will allow for fish population recovery as well as support recreational fishing and fishing tourism. Read More Here: Net Free Area commitment welcomed. For background on some of the issues faced in the Far North around netting, bycatch of vulnerable species such as dugong and turtle, and targeting of spawning aggregations please see the comprehensive documentation provided by Wonga Beach local on the Fishers For Conservation website. Ecotone February 2019 - All New Layout! Save your drink containers for CAFNEC! Annual Report 2017/18 - Read it! Green Drinks August + Water is Life screening! Hot off the press: February Ecotone! Plastic Free July Green Drinks - Special event! Stop Adani Rally - June 18! Volunteers needed: Bike Tour 2017! Boomerang Bags Cairns - Get Involved! No mega-port for Cairns e-petition - sign now!